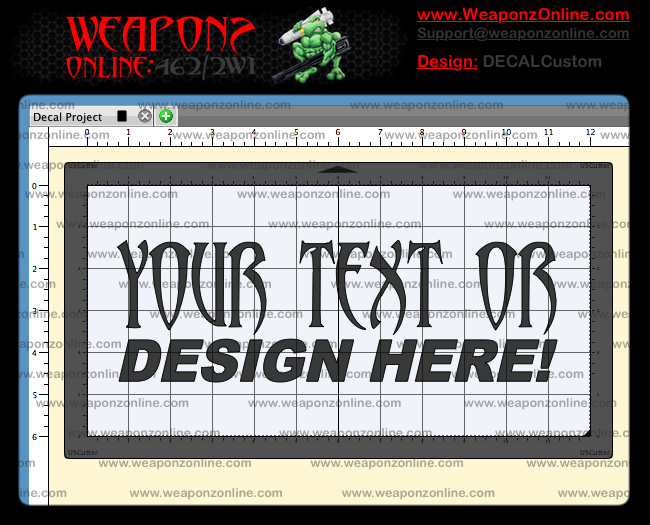 Pricing varies by size, complexity and how many layers/colors of vinyl are required for the decal. We currently only carry a limited selection of colors, but if your order is large enough, we will order your desired color or colors. When making a request keep in mind that we make vinyl decals, not printed stickers, so not all images are suitable for a vinyl decal. Minimum order total of $20 dollars will be charged for any orders that do not exceed that amount. We are based out of Wichita Falls, TX, and primarily work with online sales, but local sales are welcome as well! Just contact us on the form below, and let us know what you have, or what you are looking for.